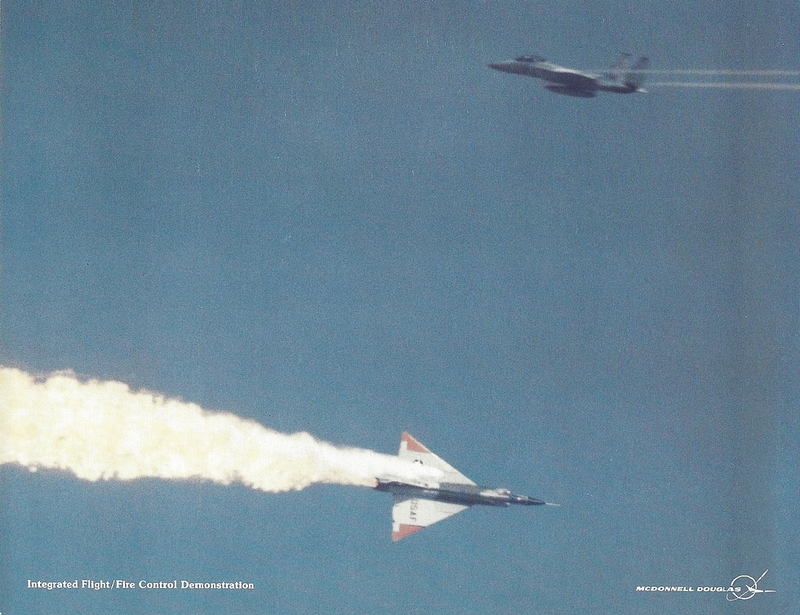 In 1971 and 1972, I worked as a Polysonic Wind Tunnel (PSWT) test conductor for McDonnell Douglas in St. Louis. In the small front lobby outside the tunnel control room was a display model of the McDonnell 156. Other than these pictures, which I took, I can find no other info. 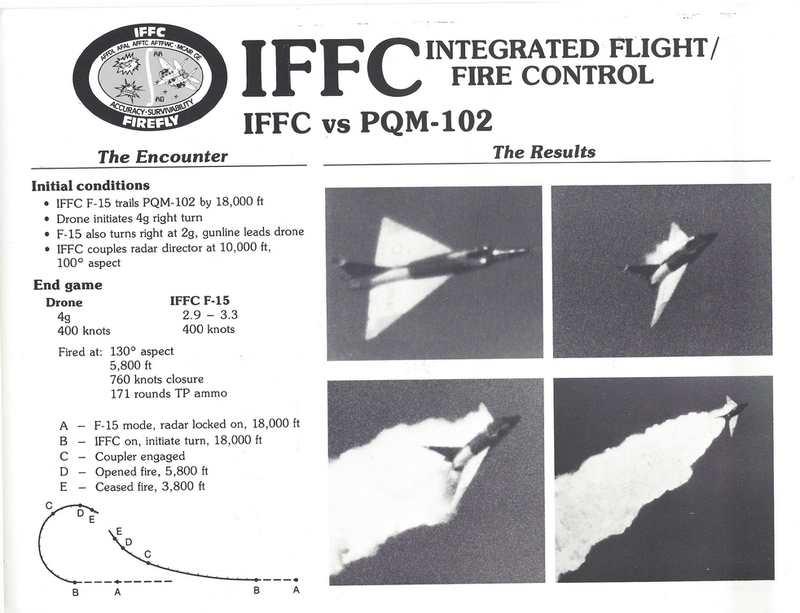 It appears to me as a proposed entry into the 1960’s Tactical Fighter Experimental (TFX) requirements ultimately resulting in the F-111. Anyone have any further info? 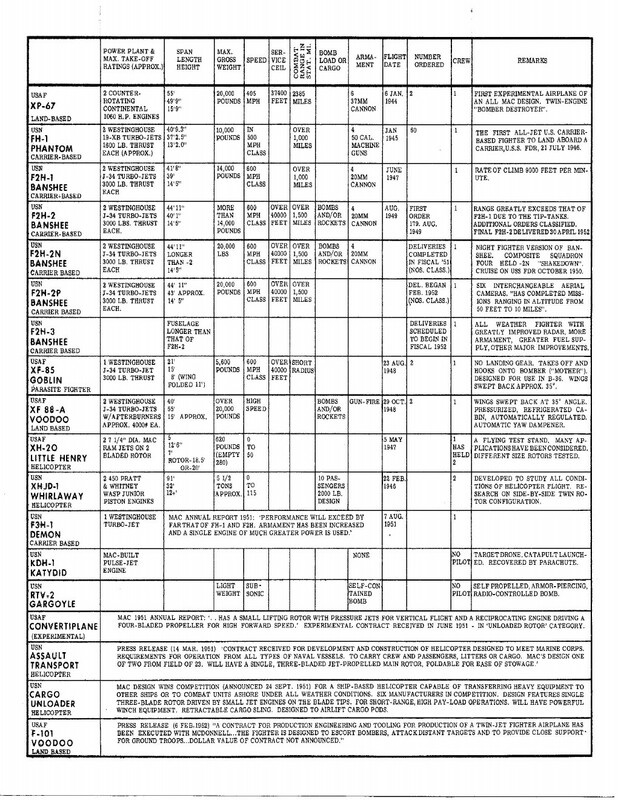 An interesting article on MAC history and progress “Twenty Years Between Phantoms”. Author and publication unknown. 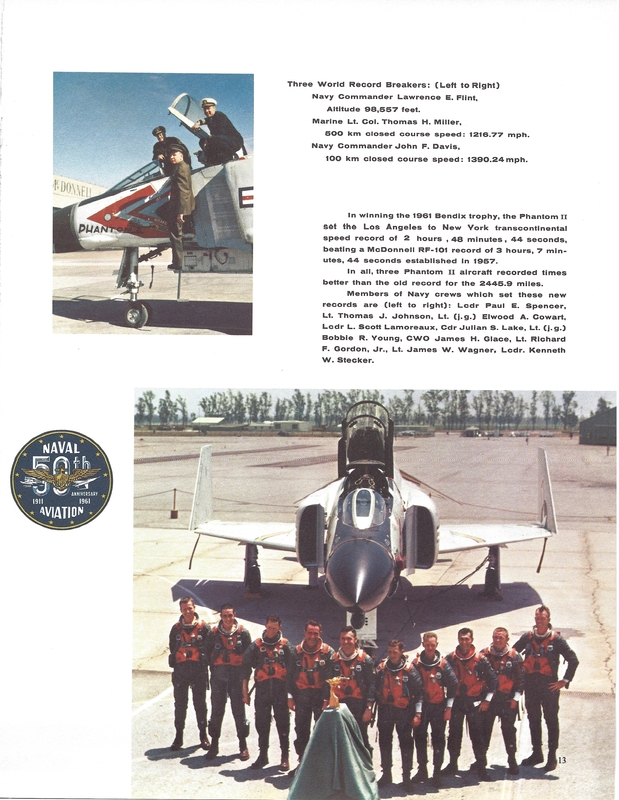 During the 1950’s MAC published yearly achievement brochures similar to the stockholders brochures issued today. Here are two of them for 1953 and 1956. 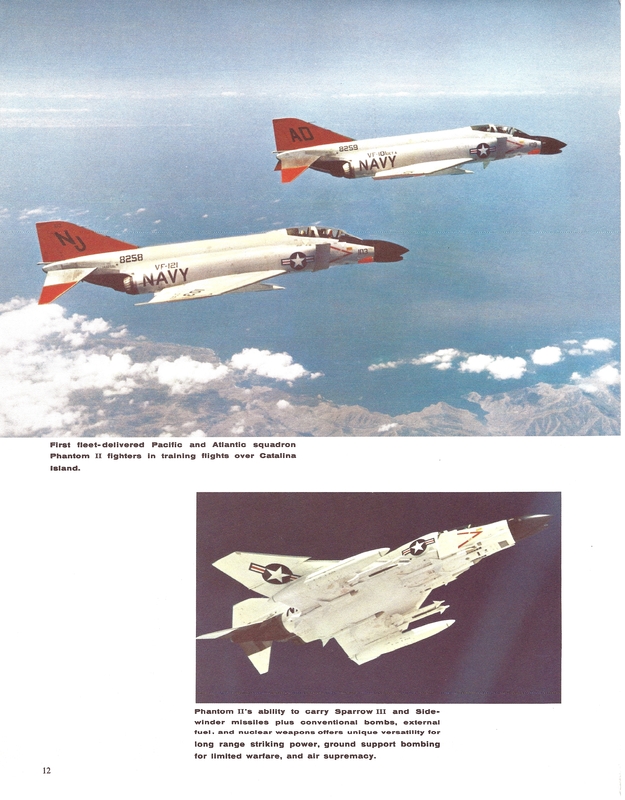 Various aircraft prints from early to mid 1960’s. 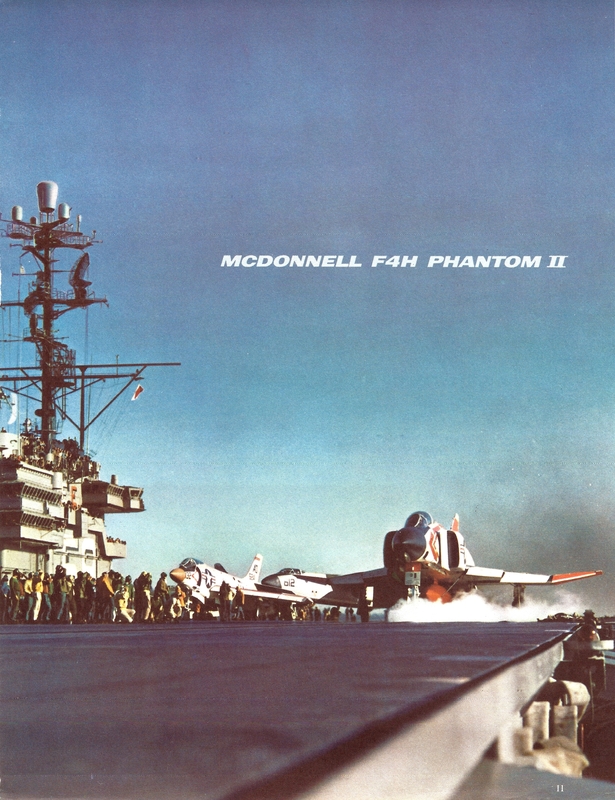 Early 1960’s F-4 Phantom II ashtray. 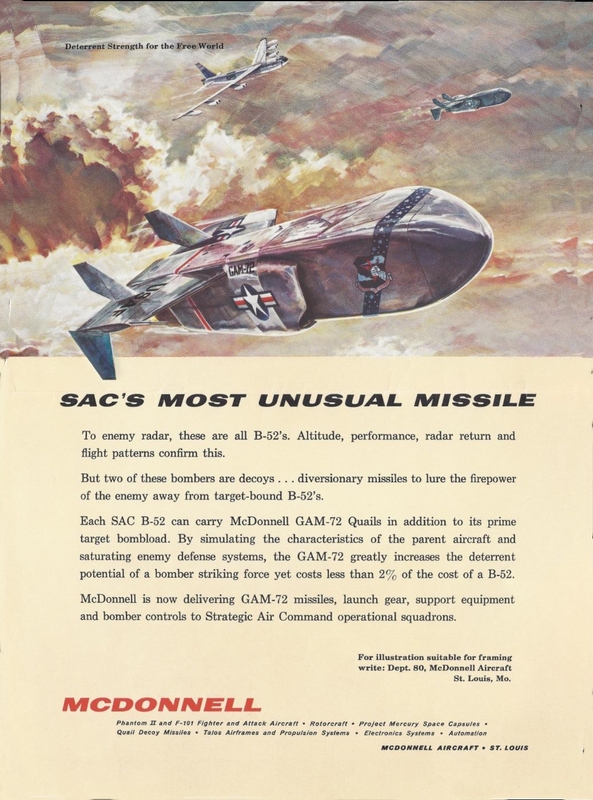 Early McDonnell Aircraft GAM-72 poster. NOLO (No live operator on board) photo of 23160 in flight. 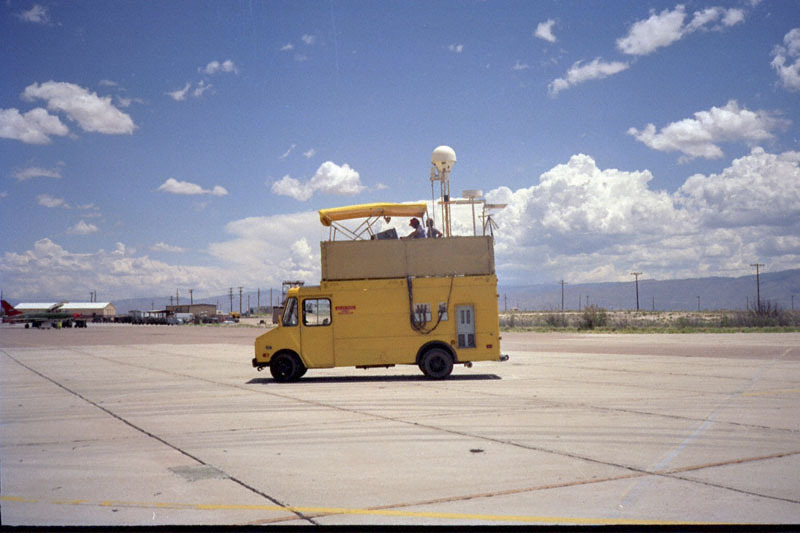 Vega control van. Notice QF-86 in background. Additional view of control van. 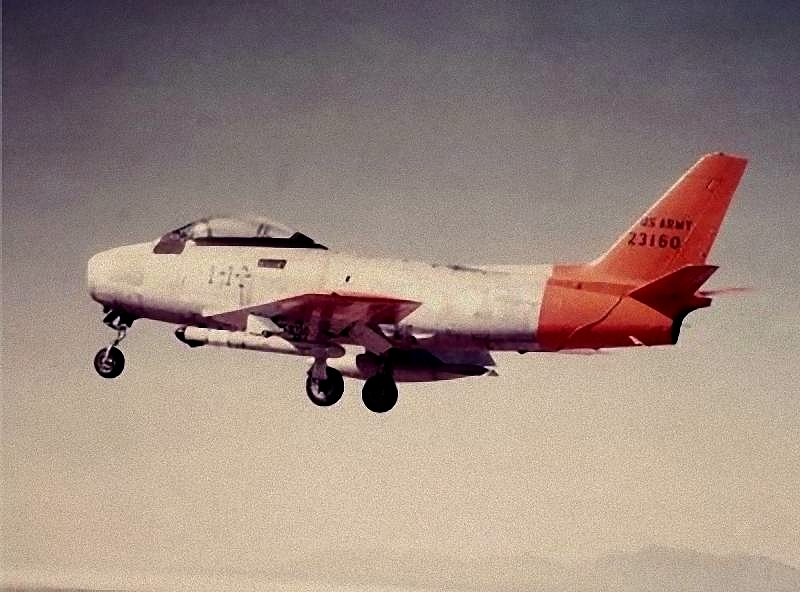 In the summer of 1981, I took a tour of the F-86 conversions at Holloman Air Force Base in New Mexico which turned them into QF-86 unmanned target drones. I was a guest of Flight Systems, Inc of Mojave Ca, the managers of the program. I first published a short article in “Crazed Plastic” (See below) and then a revised and larger article in “Radom Thoughts” (RT) in 1982. RT is the IPMS Canada’s publication. Here is that article. The very distinctive Orange color used on these birds is called Omaha Orange from the Dupont Centari No. 31AH collection. A close match for Omaha Orange is FS 12473. The sample in this article was painted with the actual Dupont color. 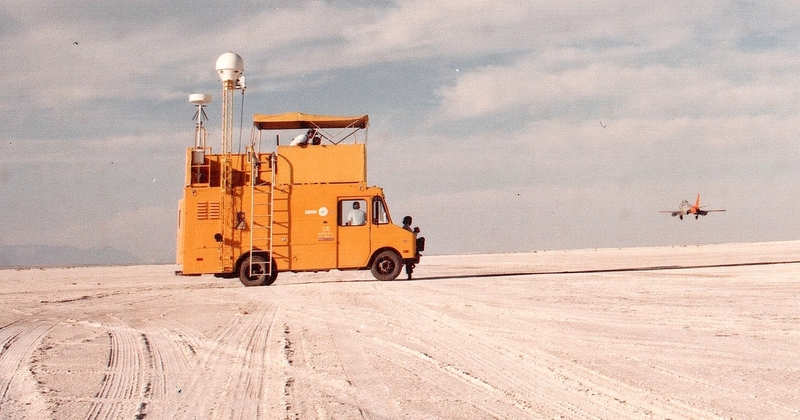 "Thumper" was destroyed on a NOLO mission in August 1981. It had survived at least 9 missile shots! 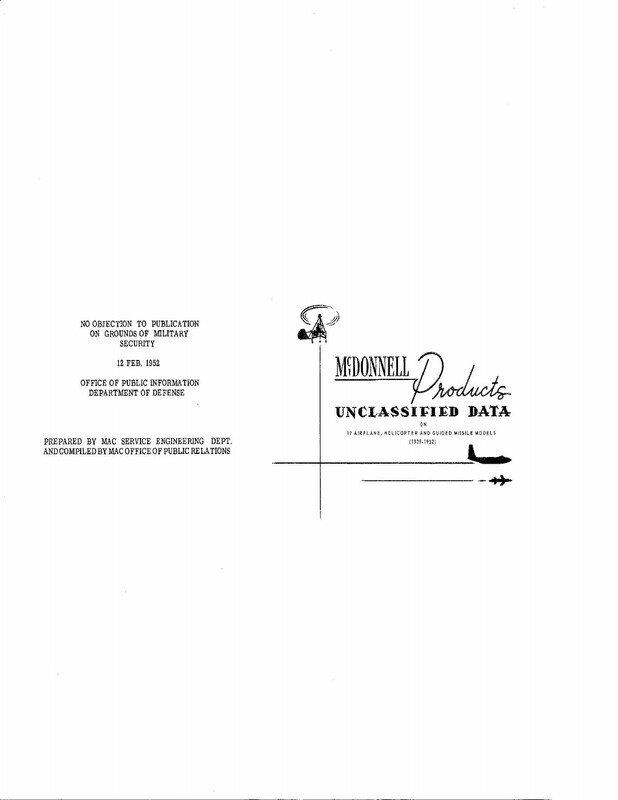 Feb 1952 McAir unclassified products data sheet with interesting data and info. 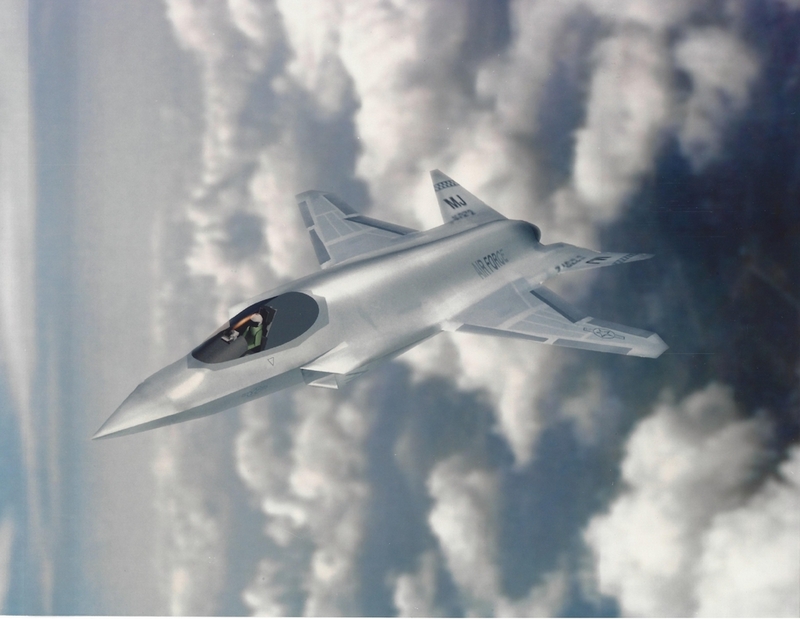 The McDonnell Douglas early concept for the JSF and the team behind the bid. 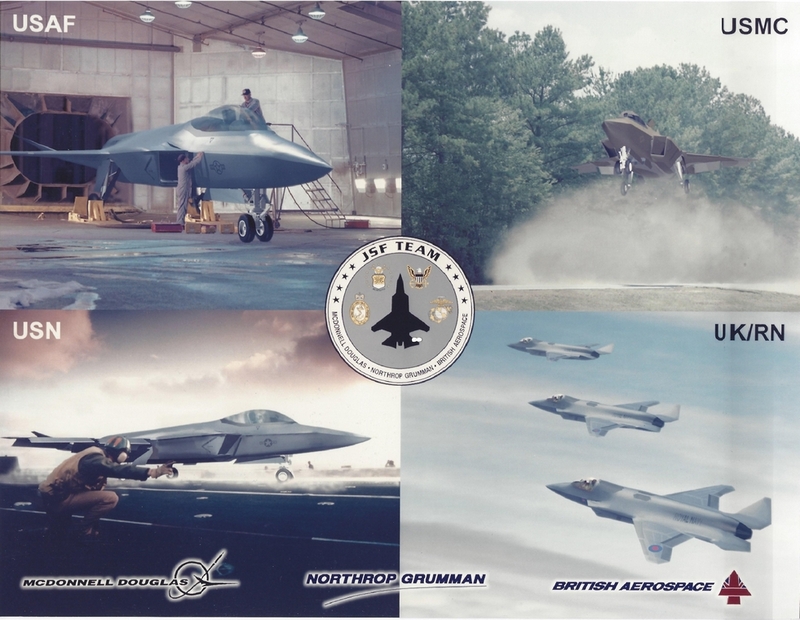 The McDonnell Douglas, Northrop Grumman and British Aerospace JSF for the US Air Force takes off in this artist’s concept. 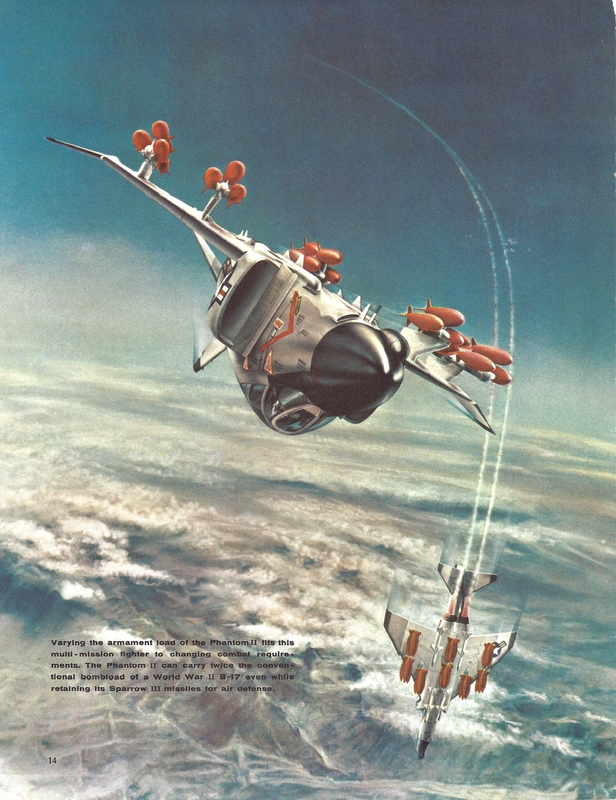 The teams JSF features a unique near tailess design for maximum stealth and an all-axis thrust vectoring nozzle for maximum maneuverability. Photo D4C-122347-36 dated 10/96. 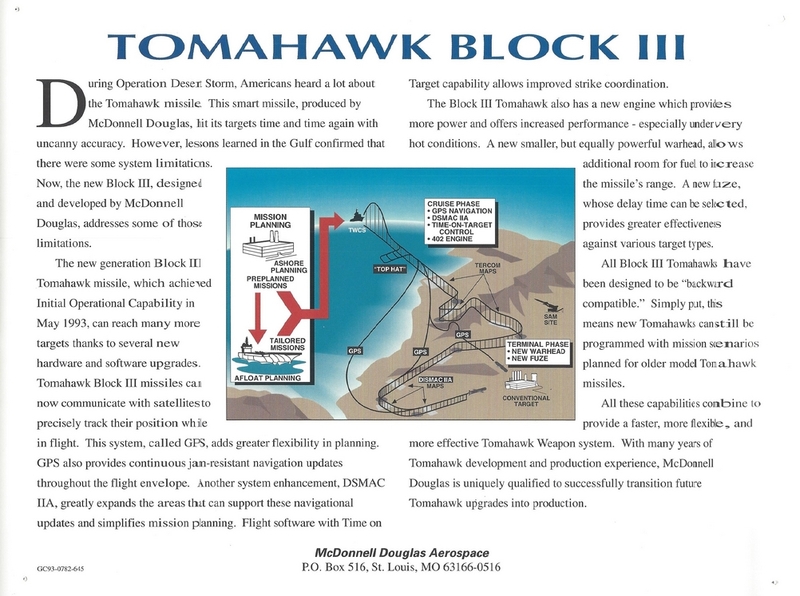 McDonnell Douglas and GE participated in the joint development of IFFC avionics. 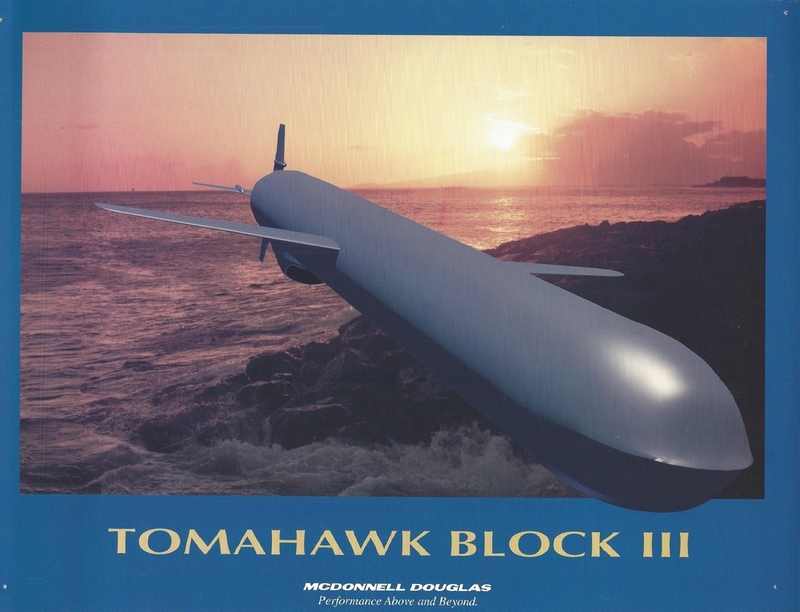 McDonnell Douglas made BGM-109 Tomahawk cruise missiles for a time.